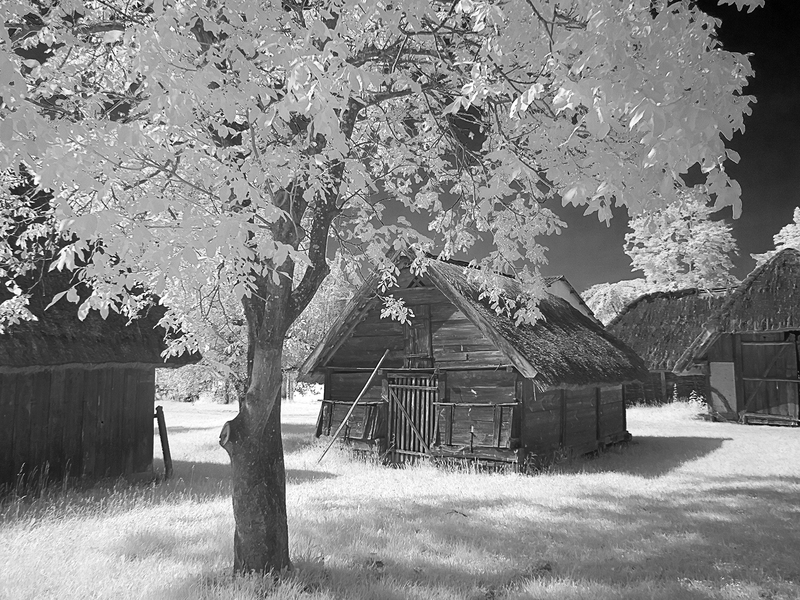 I had had, for a while, an image in my mind of a nice old wooden building surrounded by foliage that would make a good subject for an infrared photograph but had been unable to find anything suitable in the UK . Whilst visiting friends in Hungary in 2014 we visited the Szombathely Open Air Museum some 230km west of Budapest. The museum consists of many old buildings rescued from destruction from various locations throughout Hungary. As we walked through the museum there appeared exactly what I had been looking for. 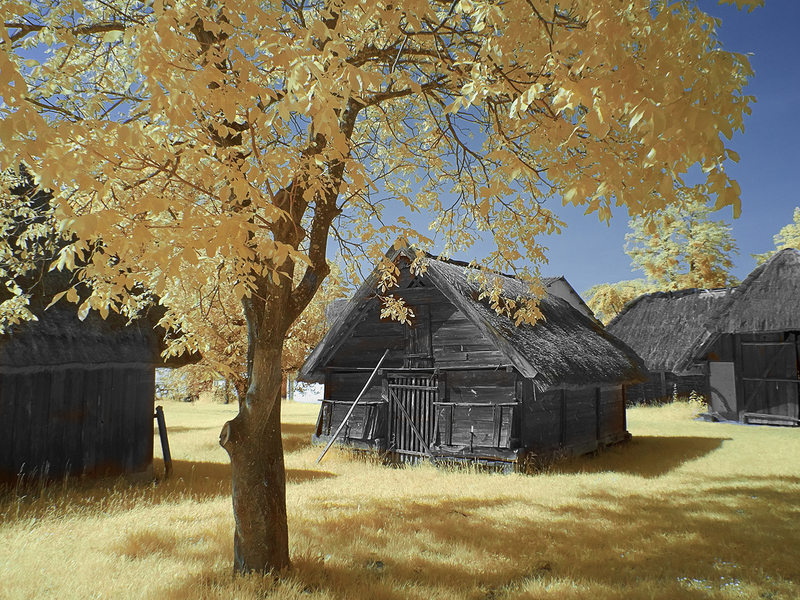 The image below is identical to that above but it has been processed differently in Photoshop to give colour to the foliage. This change of colour can be, effectively, infinitely variable but I find that this particular shade gives a pleasant, almost autumnal, feel to an image.